Maintaining a balance between the personal and professional realm is a challenge for most professionals. But successful people know being too busy all the time can lead to missed opportunities and unnecessary conflict at home and at work. Join us as we learn from experts about strategies and tools that can be used to achieve a strong work-life balance. We will focus on adjusting work style and managing demands for better work, health, and life outcomes. Participants will learn how to successfully gain control both professionally and personally to thrive in a healthy lifestyle. Be sure to join us on Wednesday, June 27, for this Facebook Live webinar! 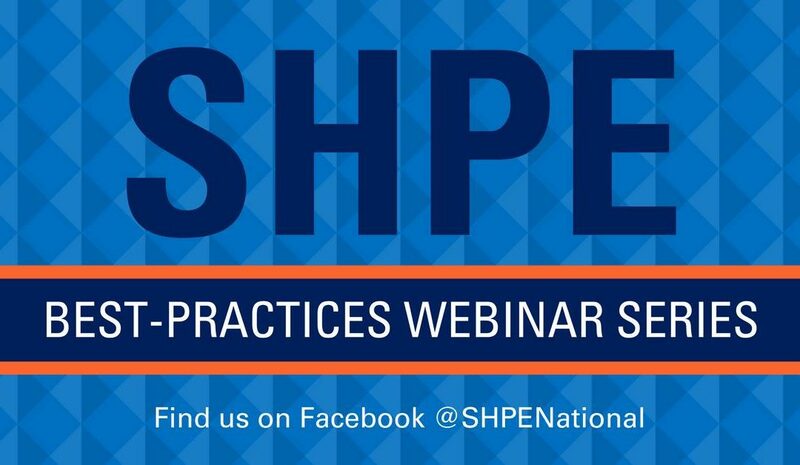 Just to come to the SHPE National Facebook (https://www.facebook.com/shpenational/) page at 7pm ET and you’ll see the event happening live in our feed.